The decision to outsource your web or mobile app development project can be quite tricky. Unlike an in-house project, you command lesser control over the process and quality which can often be a serious limitation. With thousands of companies around the world offering these services, making the right choice becomes trickier. Hiring seasoned developers or an agency requires a methodical approach. 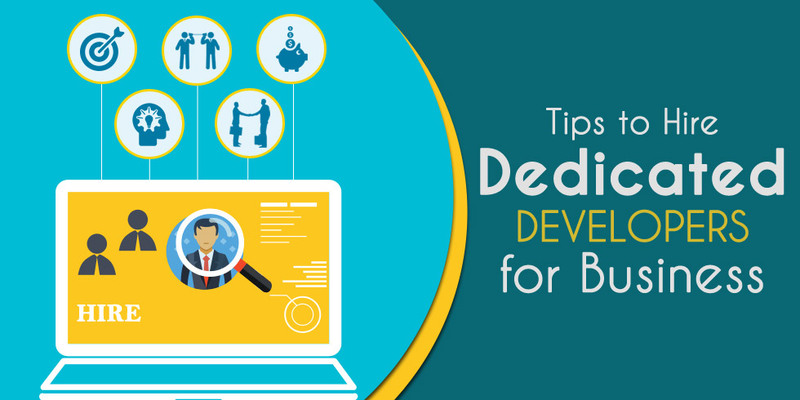 Here in this short write-up, we shall discuss a few points you ought to consider when you hire dedicated developers. If you don’t know the objective of your project you will never be able to hire the right developer or an agency. For instance, your objective cannot be mere ‘web development’ as there are different niches in it such as online store, support website, corporate website, forums, blogs etc. So when you are out to hire web developers you need to be clear about the objective of your project. This stays true for all other kinds of development projects. Expertise may often be a misleading term and this is where you need to be very careful when a developer or an agency boasts about its ‘expertise’. It isn’t only about domain knowledge but also involves inherent knowledge about the industry you are operating in, the complexity involved in your project and the aspirations of your target audience. If they have worked on a project similar to yours in the past they would hold an edge over others. Whether you are having a verbal communication with the service provider or one over an email, communication often offers you insights into their professionalism. Offer them your proposal and ask them to come up with a detailed project plan. A good agency would always improvise on your idea and also suggest changes to your plan where required. They would also offer you a clear roadmap of the process involved in the project. Remember the saying ‘quality never comes cheap’, hence never commit the cardinal sin of hiring developers based on price factor alone as you may need to be content with a poor quality product. This would poorly reflect on your brand image and deny you the mileage you are looking for. In fact low cost quotes often mean re-development and burn a hole in your pocket. If you want to cut down on costs opt for agencies in countries like India that offer you attractive quotes without undermining the quality. This is one mistake many companies make while hiring developers. They think it to be a project rather than a process. Whether it is an app, website or software it would need service and maintenance on a periodic basis. You should make sure that the company has a well-structured support team who would resolve your issues in a timely manner. Websites and apps are important tools in a tech-savvy world and you need to hire dedicated developer team to meet your needs. At Semaphore Software we have expertise over several domains and also stay abreast with the latest trends in the market. We cater to customers across industries in all continents. Know more about the possibilities by dropping us an email at info@semaphore-software.com.